Hire Female tour and Trekking guide in Nepal! Regarding the single female travelers for their comfort, avoid sexual harassment and better understanding for possible problems during the trek. 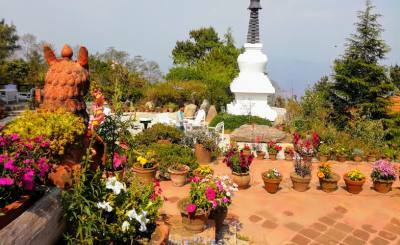 We have female tour and trekking guides for city tour in Kathmandu valley, Pokhara and Lumbini and trekking in Himalaya. Our guides are educated, licensed, experienced, helping and friendly. They are informative about history, culture, language, costum, belief, religion to related sites. Our female trekking guides are physically very fit as male guides and have passion in hiking and trekking career. Important trip information before you leave! 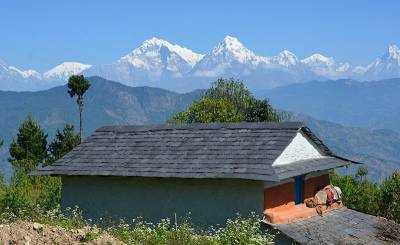 Annapurna Conservation Area Project (ACAP), It is mandatory to Annapurna region. You can prepare only at Kathmandu or Pokhara. You will be charged double price or returned if you don't take this permit with you for all trekking routes in Annapurna region. It costs Rs. 2000 or equivalent per person and you are required to have one passport size picture and passport copy. Nepal alternative treks arranges this permit for you in advance or on your arrival day if no public holiday or off hour. Trekker's information Management system (TIMS), It is also compulsory to any trekking region except if you are doing peak climbing, Expedition or special trekking areas (remote) as Mustang, Manaslu, Dolpo for example. You need to obtain this permit either in Kathmandu or Pokhara. You will be returned back if you don’t have this card while they check on the way to trekking. It costs $ 10 or equivalent for Agency, $ 20 or equivalent for individual clients ( If you make yourself) . We arrange TIMS card in advance or after we meet. National Park fees, It is necessary to obtain for different trekking regions which are under National park areas. All the national fees are same price Rs. 3390 or equivalent. You can obtain it along the way to trekking but you will be required passport copy. 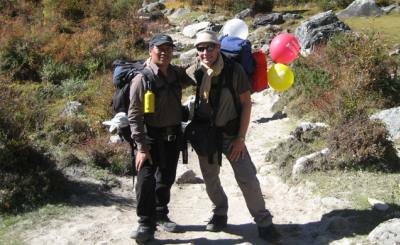 Everest trekking, Langtang Trekking, Makalu Trekking, Dolpo Trekking etc. You are suggested to book domestic flight tickets, tourist bus ticket, local bus tickets or to reserve the jeep to different trekking starting points from Kathmandu in advance. It secures good seats and starts the trek in fixed schedule. It will be overbooked during the peak season. We can book domestic flight tickets, bus tickets, reserve the jeep or hotels in advance to secure the seats. You will need special permits to different remote area trekking areas. Manaslu Circuit Trekking: Manaslu Special permit, ACAP and MCAP. Tsum valley Trekking: Tsum valley special permit and MCAP. Tsum valley and Manaslu trekking: Tsum valley special permit, Manaslu Special permit, MCAP and ACAP. Upper Dolpo Trekking: Upper Dolpo special permit and Shey Phoksundo National park fee . Lower Dolpo Trekking: Lower Dolpo Special permit and National Park fee. Mustang Trekking: Upper Mustang special permit and ACAP. Wilderness Excursion issues all kind of trekking permits, peak climbing permits and arranges all above treks. Lightweight walking boots "walked" them in prior to arrival in Nepal to avoid blisters. Light weight cotton pants, shorts, wrap around skirt. Long sleeve cotton shirt, if susceptible to sunburn. Sun hat - sunburn is severe at rarefied altitudes. Vaseline for feet and crutch. Water bottle - 2 liters. Sunscreen, sun bock, sun - tan lotion. Small daypack - 25 liters. Rain jacket - poncho style to cover backpack. Warm down fiber filled jacket. Thermal underwear, woolen shirts and thick sweaters. And finally, the most important things that you must take with you are a sense of humor, an open mind, and an understanding that a trip to Nepal is an adventure to a land which is very different to your own country.